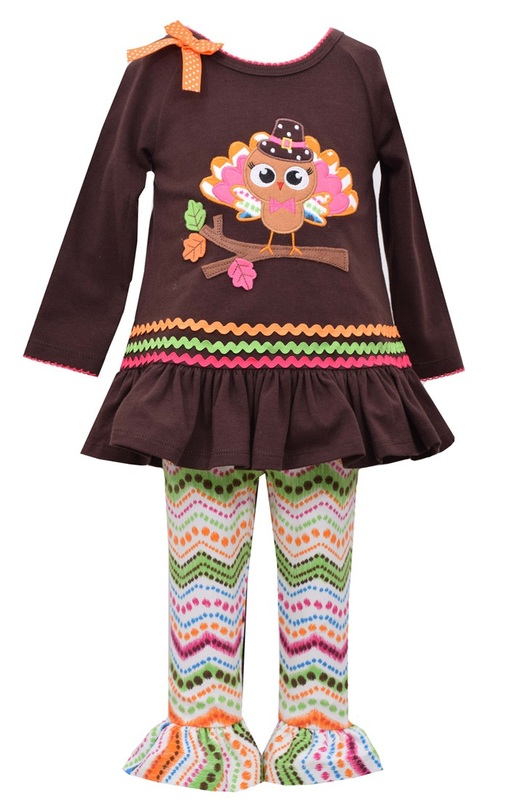 Adorable appliqued Thanksgiving turkey tunic with rick rack trim comes with matching chevron print knit pants. Cotton and cotton spandex. Machine wash. Imported.